The owner: Stephanie Peltier, a happiness consultant (thehappinesssociety.com), lives here with her daughters, Juliette, 14, and Manon, 12. 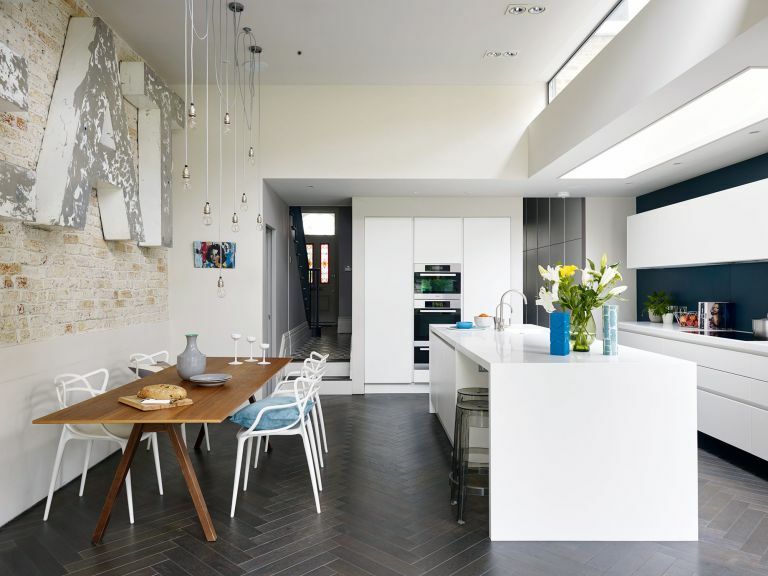 The property: A four-bedroom, detached Victorian house in west London. Stephanie began talks with 3s Architects before the sale had even completed in January 2012. They spent six months on the design, discussing how to remodel the entire house so it could work for them and daughters Juliette and Manon. A light-filled kitchen-diner and TV room extends the house and opens onto the garden. The front living room remains, but the middle room has been turned into a clever juncture for the loo and cloakroom cupboard, connected by the hallway and a new passage on the other side.